From submissions to policy issuance, to commission management and accounting, the insurance processing and distribution platform from XDimensional Technologies covers it all. lifecycle needs, you’ll be able to tackle business volume with ease. 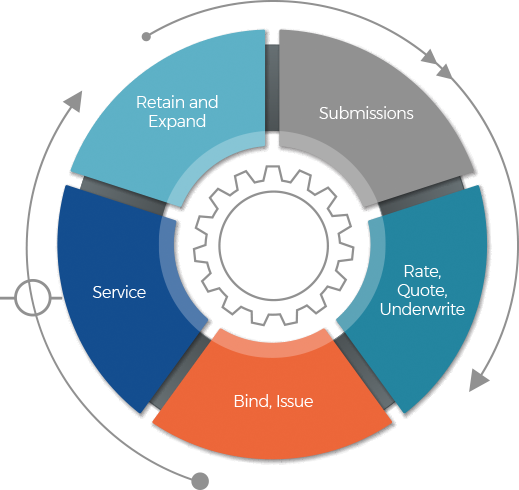 Leverage standard, semi-custom, and fully customizable components that embody your business processing requirements, get you to market quickly, and accommodate your budget. Throughout the insurance lifecycle, our solutions address people, processes, technology and business needs. Our agile solutions automate processes and improve productivity, access, controls, and competitiveness. They drive exceptional user experience and attack complexity and change management head-on. They are delivered from the cloud and deliver just what you need to achieve the right results.